Badger queries the Stack Exchange API, specifically for badges. The main idea of Badger was to return the new list of Tumbleweed posts on Stack Overflow, every 10 minutes. The motivation for this bot was the Weed Eater hat. Badger now tracks other badges also. 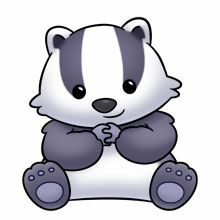 Badger queries the API every 10 mins. If there are new badges, Then it’ll print the number of new posts with a link to that particular badge page. If there are no new ones, It waits for another 10 minutes. Badger now runs in the SOBotics room along with its other bot friends. Do visit them and say “Hi”. Track Badges in another room. Run the bot under another account.